The Best Neuromarketing blogs from thousands of top Neuromarketing blogs in our index using search and social metrics. Data will be refreshed once a week. Austin, TX About Blog This is Neuromarketing, Roger Dooley's blog about using neuroscience and behavior research to create better marketing. Facebook fans 614. Twitter followers 45,001. Europe, N. America; Australia About Blog Neuro-Insight evaluates multiple advertising campaigns to establish a level of emotion, memory, attention and engagement that each evoke. Facebook fans 1,569. Twitter followers 2,165. San Francisco, CA About Blog Get updates on Neuromarketing from Reddit! Facebook fans 1,179,589. Twitter followers 538,140. Netherlands About Blog The Neuromarketing Science & Business Association is the global trade association for everybody with a professional interest in the field of neuromarketing. Facebook fans 1,216. Twitter followers 2,291. San Francisco, CA, USA About Blog CoolTool is a cloud-based platform for market research. Its powerful survey engine includes eye tracking, emotion measurement, EEG and mouse tracking solutions. CoolTool is the place to shop for various research services, methodologies, and latest technology. This blog is about using neuromarketing tools in research. Read about consumer behavior research, automation in market research, integrating innovative technologies into surveys, the role of neuro-tools in consumer research. Facebook fans 2,863. Twitter followers 875. Utrecht, The Netherlands About Blog The New Neuromarketing blog bridges the gap between fuzzy science and straight solid application. Our team of writers uncover the biggest neuromarketing gems each month and transform them into clear bit-sized articles. Facebook fans 9,679. Twitter followers 1,439. South Africa About Blog Neuromarketing consultancy & market research services that optimise marketing & advertising communications; brand experiences; new product R&D. Facebook fans 218. Twitter followers 249. Copenhagen, Denmark About Blog iMotions biometric research platform fitted for multiple hardware systems & biometric sensors. Providing accurate insights for research & usability studies. Facebook fans 2,430. Twitter followers 4,786. New York About Blog Decision Science News is a website about Behavioral Economics, Data Science, Statistics, Marketing, Management, Psychology, Computer Science, Health, Policy, & Law. Amsterdam, Netherlands About Blog At Neurensics we know the brain processes that make people respond to your message, buy your product, or engage in your brand. We gladly share that knowledge with you. Facebook fans 803. Twitter followers 1,163. Winchester, England About Blog Market research methods and primary market research helps in understanding what your business market is all about. Facebook fans 154. Twitter followers 1,503. About Blog Get updates for Sports Neuromarketing. Tampa, FL & New York, NY About Blog Neuromarketing Research Services using scientifically validated methodologies to identify the emotional, nonconscious drivers of consumer behavior. Facebook fans 157. Twitter followers 81. About Blog Neurofied is the turnover specialist for web shops. By applying neuromarketing to the design of eCommerce websites, turnover can always be increased. Facebook fans 122. Twitter followers 484. Denver, CO About Blog Read the Speaking Of Brilliance neuromarketing blog for new insights, the latest research, and innovative strategies for your business. Facebook fans n/a. Twitter followers 2,919. About Blog Get updates on Behavioral Economics News, economics news, Neuromarketing News, CASE STUDIES, Marketing News, Latest Neuromarketing News! About Blog At ICC, we provide a multidisciplinary approach to marketing strategy by inspiring a shared vision and transforming obstacles into innovations. Houston, TX About Blog Neuroscience News provides research news for neuroscience, neurology, psychology, brain science and cognitive sciences. Facebook fans 118,878. Twitter followers 97,578. About Blog Comprehensive up-to-date news coverage about Neuromarketing, aggregated from sources all over the world by Google News. 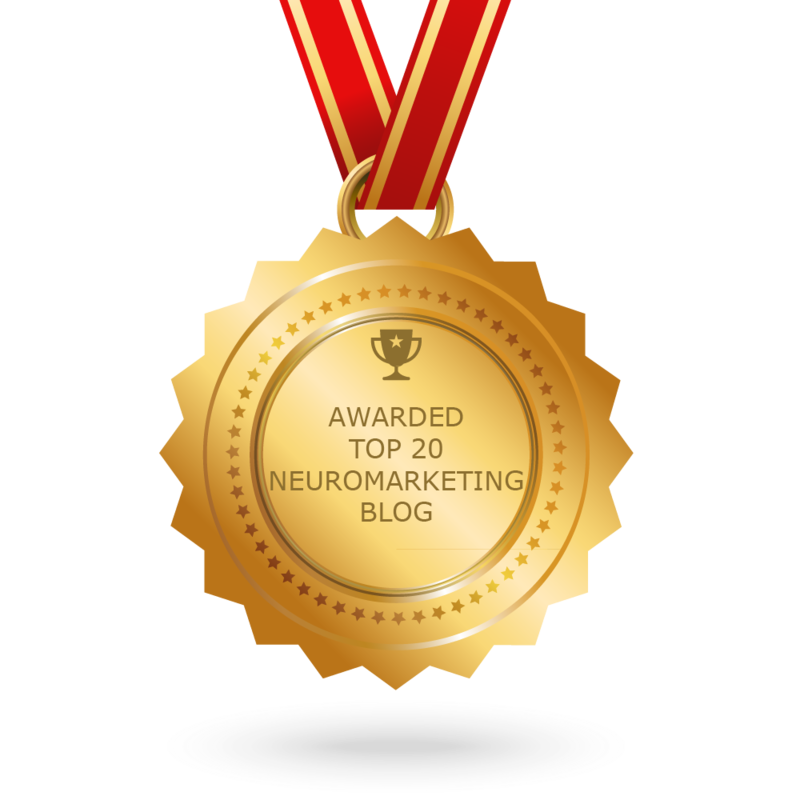 CONGRATULATIONS to every blogger that has made this Top Neuromarketing Blogs list! This is the most comprehensive list of best Neuromarketing blogs on the internet and I’m honoured to have you as part of this! I personally give you a high-five and want to thank you for your contribution to this world.